February | 2011 | invincible inc.
inexpensive that you will kick yourself for not thinking of them first. Bridge is one of my favorite things ever. Magic. and I check in every day to see how they are progressing. They threw together this guest bedroom in less than a week. I would have trouble believing them if they hadn’t posted the exhaustive details of every piece. Ask Metafilter – For questions that are too difficult for google. A bunch of really smart internet people who are happy to provide their expertise on any subject. My favorite questions are the ones about cooking and weddings, but I always find myself reading the relationship questions in great detail, because people are so wonderful and complicated and weird. 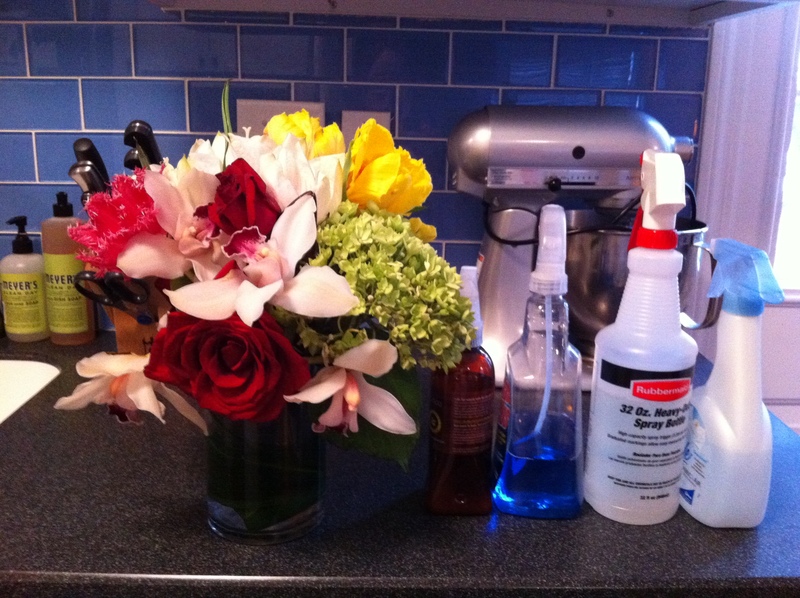 This weekend I am doing some spring cleaning and watching Downton Abbey on Netflix. You would not believe the number of socks I found under our couch. I won these pretty flowers at work and they have a new home on our dining-room table (once I sort the mail and other junk taking up the whole table now). Hope you’re doing something more fun with your weekend! 2. Immersion Blender. Seriously, get one today. Ours was less than $30 at Bed Bath and Beyond and we haven’t used our regular blender in years. I use it for tomato sauce, whipped potatoes, strawberry sauce, cream soups and just about anything else. 3. Frosting Bags and Tips. So much easier than frosting with a knife, especially for cupcakes. I have used it with store-bought frosting (gasp!) and my own homemade frosting and people are always impressed. I even use them for piping mashed potatoes, which is even better than frosting (to me at least). 4. The Joy of Cooking. My first cookbook, a Christmas present 3 years ago. Everything that I need to learn how to cook is inevitably in this big book. It’s crazy the level of detail that it goes into. No photos, but you don’t need them. 6. Organic Ketchup. Not really an ingredient for anything, but still amazing. It doesn’t taste like salt or vinegar, just delicious tomatoes. I tell everyone I know (and lots of strangers) to buy it. Really, I am that crazy about organic ketchup. 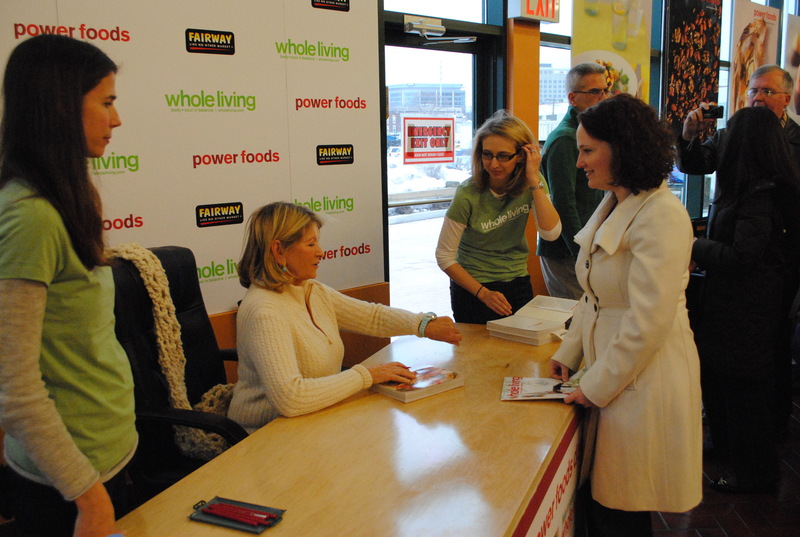 Last Saturday Anthony and I went to a Martha Stewart book signing at the new Fairway Supermarket in Stamford, CT. I have been a huge fan of Martha since I was about 6 – my sister and I watched her show on PBS one Thanksgiving morning. She was covering a turkey with pastry before roasting – it was the most incredible thing I had ever seen. 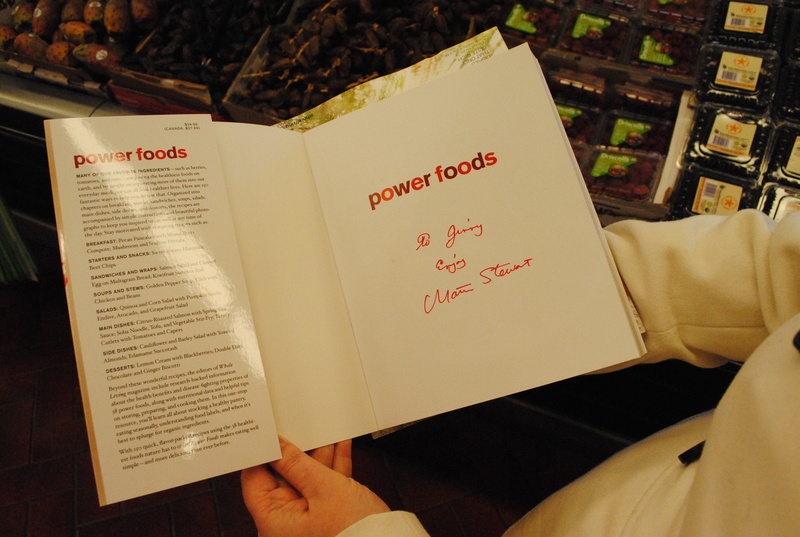 When I heard that she was going to be at Fairway signing a new book Power Foods, I was so excited! We showed up early and there were already tons of people in line. 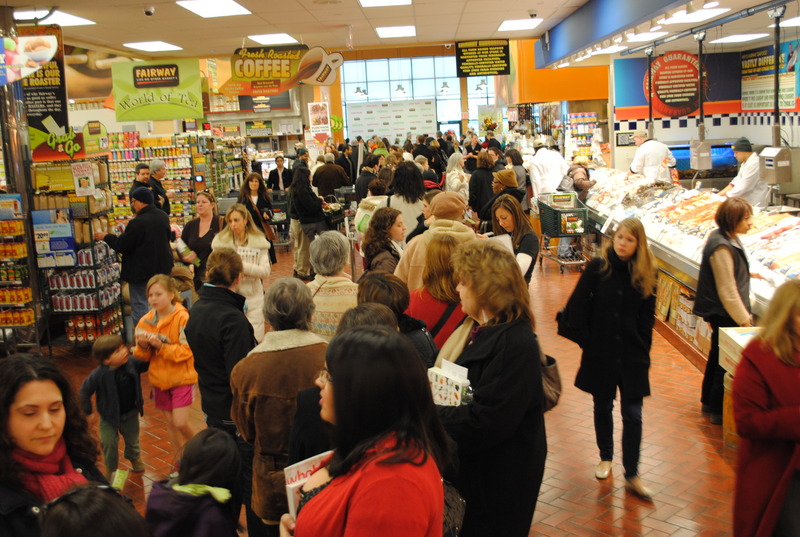 Everything was perfectly organized and people from Whole Living Magazine were handing out samples and talking about the recipes in the book. 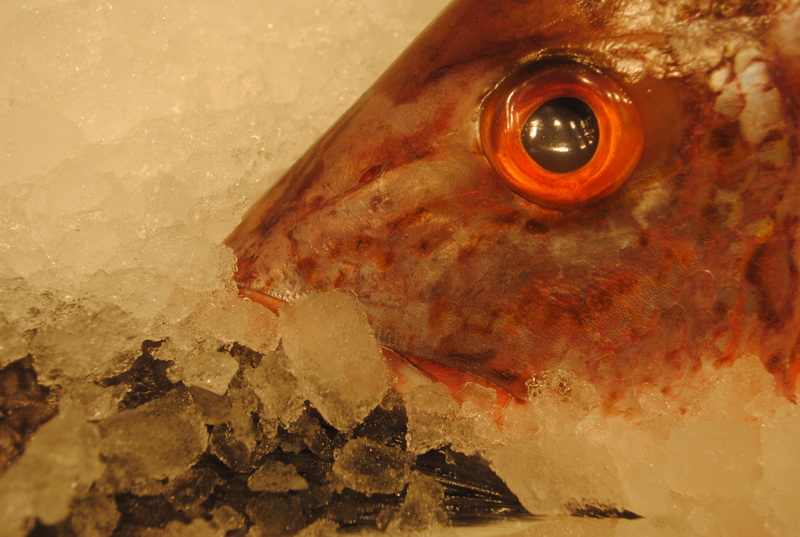 We were lined up along the fish section, so Anthony took some pictures of the amazing fish while we waited. Before we knew it, we were at the front of the line and about to meet Martha. 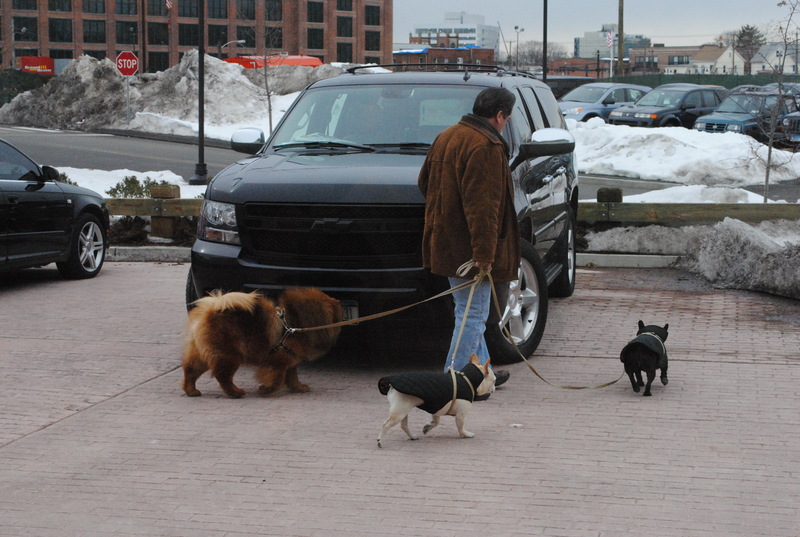 Right outside the door we saw her dogs. When it was my turn, Martha signed my book and I asked about her really cool watch – it was an aqua and gold Triwa watch that matched her earrings. She was so pretty and nice and now I totally want one of those watches. It was such a great day, and Martha was so inspiring that I went home and spent the rest of the weekend baking mini donuts, cupcakes, heart shaped brownies and cheesecake pops. 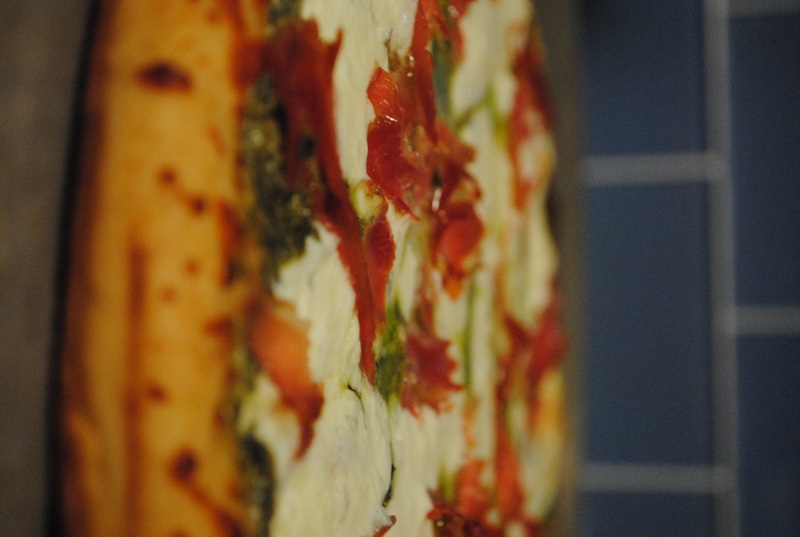 Anthony made yummy pesto pizza for dinner tonight. All I could think about today is the baking that I am going to be doing for Valentine’s Day. I’m planning on bring some treats into work on the 14th, mostly because I feel a baking binge coming on and I don’t want to eat everything myself, but also because everyone in my office is stressed out and tired after a long and snowy January. Rose Cake from iambaker – almost too beautiful to eat. Adorable Mini Donuts from Such Pretty Things – I have been considering investing in some mini donut pans. Who doesn’t need those? I always make classic sugar cookies with royal icing and oatmeal chocolate chip cookies, so I may make those too if I have time. I’m also thinking of red velvet whoopie pies, which could also be yummy. If all of this sugar doesn’t cheer everyone up, I don’t know what will!